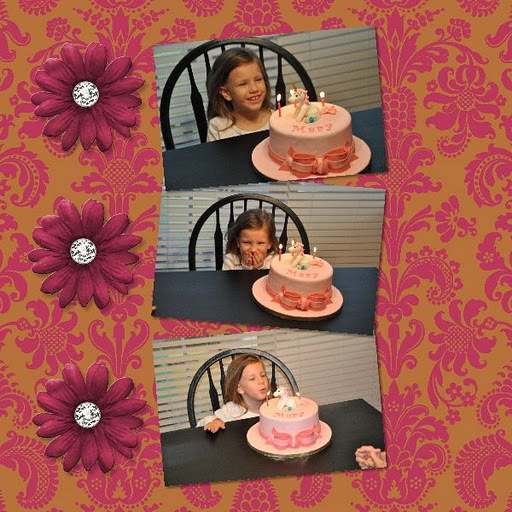 Saturday was Mary’s 4th birthday. I took it hard on Friday night for about 2 and a half minutes, which was all the time I would permit. I can’t believe how old she is. So many of you readers have been with me through all of that. Thanks for sticking around. May we have many more good years of sharing. On Thursday night, I strong-armed a woman into making Mary a birthday cake the next day. With no notice, she did a fabulous job. 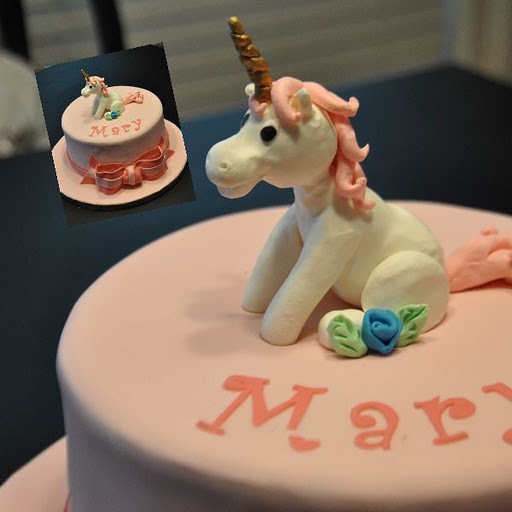 Mary really wanted a cake with unicorns. She got one. So cute! Notice the broken M. That was not how the cake looked when I brought it home. This girl still can not keep her hands off anything. I love the middle picture here. What to wish for? Oooooh, I don’t know…so many choices…Oh! the pressure! We squeezed Mary’s cake and party between Peter’s football game and his team’s end of season party/coach’s son’s birthday party. The older boys had football later, followed by a party, Mass and camping. A busy day. I will blog about those photo spreads later today. What an adorable cake! She looks completely delighted with it. Happy birthday, Mary! Four! Four! Wow! Many Years and Happy Birthday, Mary! I agree, the cake is fabulous. Happy Birthday Mary! I have been reading long enough to remember all this. Now it simply can't be that she's really four! She's growing up so quickly. Oh and that cake is really cool!